Putting a personalized label on your or your child's water bottle is not only a fun addition, it is also helpful in keeping track of it at work and play. This is a guide about adding labels to water bottles. 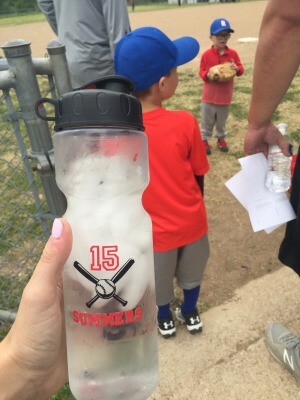 I created a fun design for my T-ball boy to have on his own water bottle for games! I used a Cricut to cut out the vinyl.